Mega Hero Sai Dharam Tej's latest film with Lavanya Tripathi as heroine in Sensational Director V.V.Vinayak's Direction Produced by C.Kalyan under his C.K.Entertainments Pvt Ltd banner as Production No - 4 was launched today at 9:27 am with a Pooja ceremony. 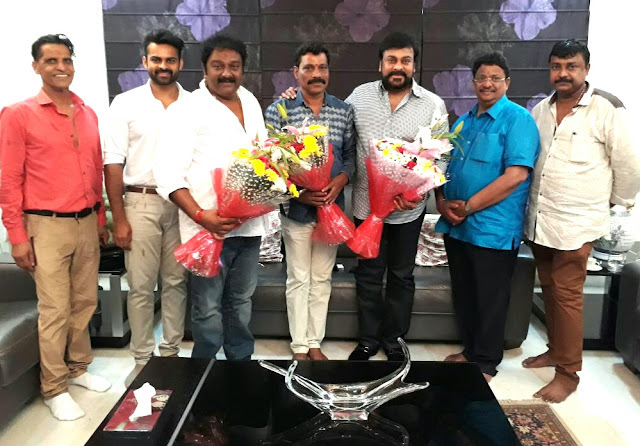 Film started with Megastar Chiranjeevi's blessings. Muhurtham shot on Hero Sai Dharam Tej was clapped by popular writer Paruchuri Venkateswara Rao while camera was switched on by another popular writer Satyanand. Siva Aakula Siva who is providing Stoey,Dialogues for this film Directed the first shot. Smt Vijaya Durga, mother of Sai Dharam Tej handed over the script. 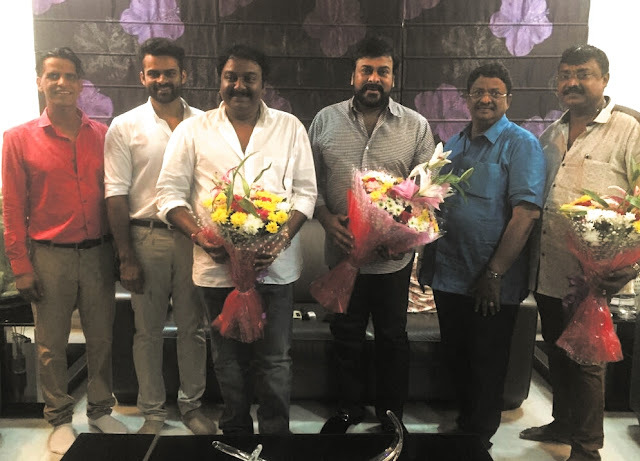 Sai Dharam Tej who is known as energetic performer for the first time joining hands with V.V.Vinayak who is popular for delivering Powerful films. Regular shoot of this Powerful Entertainer will start from September first week.